If you live abroad and need to send money home, whether you’re a retired expat or an immigrant worker or whether your homeland is in Europe or Asia, we’re here for you. You’re working abroad and sending money home to family, friends, or your own domestic bank account. You’re looking for cost-effective solutions with great global reach, and you are looking to transfer money to a bank account or to a cash pickup. You’re living abroad and need to transfer money from home to support your current living situation. You are looking for payment institutions that can handle these transfers on a regular basis with no hassle and no fees along with a winning exchange rate. Pensioners who move abroad for retirement, people who relocate for work purposes, and foreign investors who have mortgage payments to make in a foreign currency can all use the companies below for these purposes. In fact, these scenarios are their specialty. Prashant Lal, an employee of OFX, moved to Australia for work in September 2014, bringing with him his partner – 28 years old, Manisha. Originally from Fiji, Prashant moved to Wellington, New Zealand at age 13 where he lived for 12 years. 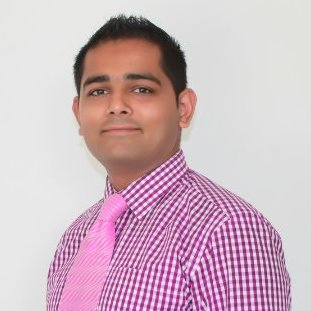 In September 2014, Prashant was offered a position with OFX in Sydney and he and Manisha decided to make the move. Having never been to Australia, Prashant was initially concerned about how to transfer money to begin setting up his new life here. Although he was able to set up an Australian bank account with his current bank, bank transfer fees between the two accounts remained high. Impressed with the savings he was enjoying, Prashant began making regular transfers back to New Zealand to help support both his parents, still living in Wellington. > Read more about how you can remit money online with on our review here: OFX (Formerly OzForex) review, rated as one of the best online money transfer platforms by us. Below are the top selections for people who need to remit money to developing countries like China, India, Pakistan, Bangladesh, the Philippines, Nepal, Albania, Bulgaria, Romania, Brazil, or Poland. If you need to have funds sent to wealthy countries in Europe, North America or Australia, click here. Compare remittance transfer providers – bank-to-bank transfers alongside cash picks. Learn which companies are best suited for your requirements and needs. Send money home for 90% less than what you would have paid with traditional foreign exchange offices. * Azimo cash pickup option is available at the majority of destinations, but not all of them. What makes these companies a great choice? ✓ Transfer online without having to go to your bank or foreign exchange office. ✓ Understand exactly how much are you going to get. ✓ Automated regular transfers can be set up with some companies. ✓ Wide global reach that enables sending money to even very remote locations in Africa, South America, and Asia. ✓ Regulated by the Financial Conduct Authority as an Approved Payment Provider, so you know that your money is safe. ✓ No upfront charge fees. You only pay in relation to the amount transferred. ✓ Satisfaction from fellow immigrants who used the service and high media attention and encouragement from established institutions, such as the World Bank. Why are bureaux de change and banks a worse option? ✗ To trade with a bank you need to go through a lengthy account setup process. ✗ There is no personalised assistance in banks or in exchange offices. ✗ You don’t get a clear indication of the money you will receive in return for the exchange. ✗ There are high transfer fees of up to £30 per transfer. ✗ These often have terrible reviews by clients online (true for most UK banks, Western Union, and Moneygram). Read our FAQ page which addresses all concerns with international money transfers. Are the companies featured in this section really cheaper than traditional settlements like Moneygram and Western Union agents? The World Bank has a programme named “Remittances Prices” that has set itself a goal to reduce the remittances prices to developing countries that rely on that inflow of cash from its residents abroad (more on the remittances market here). When remitting money from the USA to India, Thailand, the Philippines or other developing countries in Asia or Africa, companies like Ria Money Transfer or Transfast cost around 3% of the total costs, which isn’t bad but still much more expensive than the companies featured on this table that can accept U.S clients that send money home. Newcomer: The Lebara money transfer service is breaking the market by offering very low margins and small fees on transfers from the UK to 13 different locations. It is even cheaper than Transferwise on the GBPEUR route. Looking for regularly timed transfers, for things like pensions, mortgages or salary transfers? We focus on regular transfers to popular expat destinations like France, Spain, Cyprus, and, of course, the USA, Australia, New Zealand, and Canada. ✓ Easy sign-up is available on the website. ✓ You can choose whether to use an online platform or telephone. ✓ Automated regular transfers can be set up. ✓ Personal currency assistants for each client. ✓ Wide global reach, allows for accepting clients from most countries, and dealing with most currencies. ✓ Regulated by the Financial Conduct Authority as an Approved Payment Provider. ✓ Charge no transfer fees. ✓ Will beat a bank’s Buy / Sell rates any day of the week. ✓ Expertise in immigration and the transfer of pensions, mortgages, and salaries is avaliable. 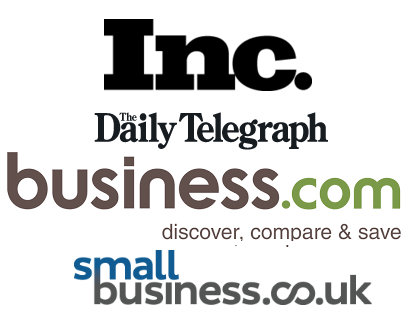 ✓ Great client reviews can be found across the web. What makes banks a worse choice? ✗ Not easy to sign up. You can only figure out the rates once you’re a client. ✗ No personalised assistance is avaliable. Private clients don’t have direct access to currency dealers. ✗ Non-transparent fees, consist of fixed transfer fees, commissions, and exchange rate markups. ✗ High transfer fees of up to £30 per transfer are charged. ✗ Worse exchange rates than commercial firms. ✗ Often, terrible reviews by clients online. Beware of Honeymoon Rates: Some remittance companies will offer you tight margins for your first transfer, but as you use them more frequently, these margins will increase. Make sure to convey to any company you’re dealing with that you will expect the same margin for future transfers, and take a minute to compare between each transfer’s exchange rate and the real current currency exchange rate. The Process: Learn the basics of commercial money transfers. FX Companies VS Banks: Lean how commercial firms differ from banks. Repatriation of Funds: Learn how to receive your funds into your new bank account. The World’s Remittance Market: View our comprehensive report and infographic dealing with the role of global remittances for developing countries, newly updated with information about mobile payments in Africa. The World’s Inequality: An Indian CEO is likely to make a salary as large as 420 of his employees added together. Learn about the underlying reasons for the world’s economic inequality and how it connects with the topic of remittances. 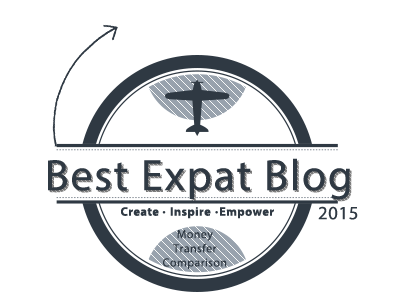 The World’s Best Expat Blogs: View our selection of the most recommended expat blogs. Top Immigrant Accepting Countries: Find a list of the top 5 countries where it’s easiest to naturalise, together with the top 5 countries with the most difficult naturalisation policies. Tips for Relocating Abroad: Find out what things to do before moving abroad. Property Overseas Tips: Get better deals on property you purchase. World’s Happiest Nations List: Considering a relocation? Check out the world’s happiest nations. Studying Abroad: Learn the best countries and universities to study abroad in. The Psychology of Moving Abroad: Learn to avoid psychological risk associated with relocation. How to Fill in Your US Visa Application: Learn to avoid mistakes related to filling out a standard i-30 or i-40 application to the USA. Our comprehensive 100+ page guide will help you unveil everything you want to know about money transfers. Our magazine will provide free content tailored for you about immigration, expatriation and remittances. Use the links below to reach them! In a world that gets more global every day, opportunities are increasing and cultural boundaries are becoming meaningless. Indeed, as “the global citizen” concept takes more and more importance, millions of people relocate to remote places to work, live, discover, and pursue their dreams. As this movement entails opportunities, it usually yields financial gains and drives up international money transfers and remittances. While some people send money home to help their families, others do so in order to invest their savings. However, regardless of the purpose, most expatriates rely on a bank or an international money transfer company.In fact more and more expatriates are opting for money exchange companies as they provide much more value than banks. They enable cost savings, risk limitation and quicker execution. However as hundreds of these companies have been created, it has become critical to identify the ones that maximise value. Through our assessment, we could indeed detect some differences and we have carefully filtered and selected the companies that will satisfy any expatriate. As a result, Transferwise, MoneyCorp, Currencies Direct, and World First are all market players that will enable expatriates to make regular payments and hedge future exposure while providing them with state-of-the-art guidance and customer support. Azimo and World Remit, in our opinion, are the best ways to send money to your family back home, and then pick it up as cash in India, Pakistan, Mexico, or Bangladesh. There is no other way to turn your pounds, euros or dollars into rupee, peso, taka, hryvnia, leu, zloty, lira or others. If you have already been using an international remittance company, then the reviews above will definitely provide you with insight and perspective. If you have never done it before, then your journey might begin right here! I use moneycorp because I prefer the big household names. They’re alright, very responsive. Where is World’s First? Best site. I transfer Euros to pound on a regular basis, currently residing in the great city of Barcelona. I am paying 20 Euro per transfer, and about 3% in exhange rates. That means I get 950 Euro (value) for every 1000 Euro I transfer. With either one of your featured companies, should I pay less? What is an FX company standard margin? Tried a few companies but I can surely say that, for smaller amounts (<1000 euros), Transferwise is the best option. This is how I get paid for my regular gigs. But for bigger paychecks, I highly recommend WorldFirst because I get a bigger saving overall. Hope this can help other people. Azimo is a great company and solution for money transfers here in India. Most of the people are using it and don’t really go to the banks for this type of services. You can send money with Azimo and have it picked up by the recipient in only 2 hours.